Fresh feet are only a spray away with the latest member of the Salt of the Earth Family - an all new, 100% natural foot deodorant formulated specifically for your feet. 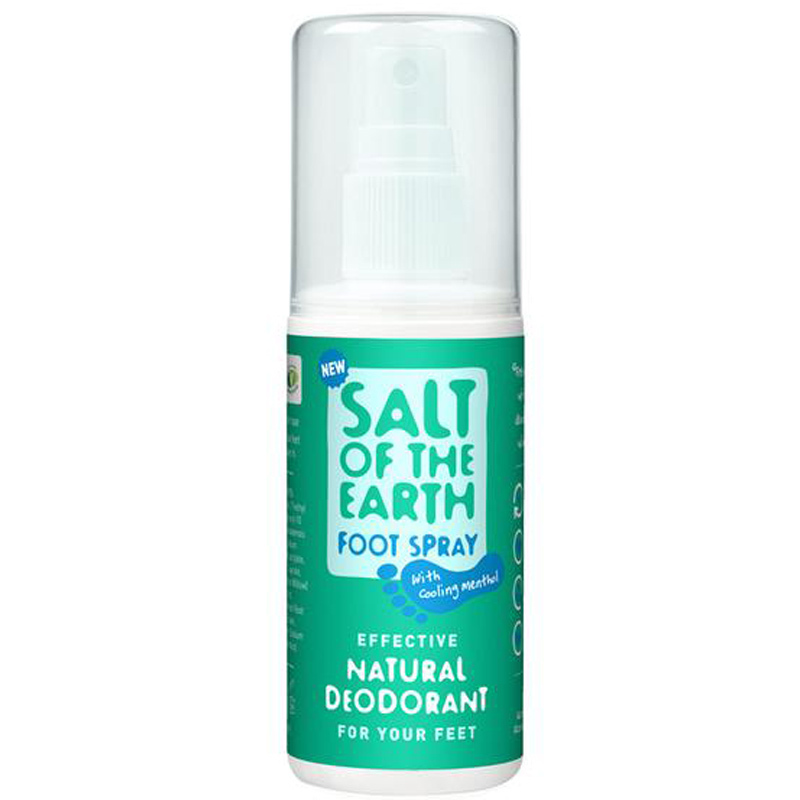 Containing calming aloe vera and infused with an invigorating menthol fragrance, the unisex Salt fo the Earth Natural Foot Deodorant spray offers long-lasting, effective protection from foot odour, whilst simultaneously cooling and soothing tired toes. Whether you spend long days on your feet at work or home, or balmy summer's evenings dancing under the stars, our Spray keeps you fresh, cool and odour-free until you are ready to kick off your shoes and relax.